Today, President Obama will roll out his new executive actions on guns, and the action that is most likely to generate a lot of noisy controversy and criticism is the one designed to expand federal background checks to gun sales that were previously not covered by them. Yet, based on what we know now, it actually may prove to be a fairly modest change — both legally and in substantive terms. Here is how it works. Here is what the new initiative does: It clarifies which gun-sellers are supposed to obtain a federal firearms license. Since guns sold by licensed dealers are subject to federal background checks, and guns sold by private sellers are not, this change, by extension, would also clarify which additional gun sales are subject to background checks. Gun reformers believe that some private sellers are selling guns regularly in a manner that allows more gun sales to elude background checks and to slip into the hands of prohibited buyers. This clarification would attempt to prevent that. Here is the policy challenge: The difficulty is how to go about clarifying which additional private gun sellers should obtain licenses and conduct background checks on sales. Current law says that those who are “engaged in the business” of selling firearms, “with the principle objective of livelihood and profit,” are required to get a license, and thus to run checks. But the law excludes those who make “occasional” sales or sell their personal firearms collections. Thus, the challenge here is to redefine “engaged in the business” in a manner that captures those who effectively are engaged in the business of selling guns — but currently are operating without a license — without capturing those who aren’t. This turns out to be harder to do than expected. Here is how the new change meets that challenge: According to multiple reports, and to experts I spoke with who have been briefed, the change does not set a threshold number of gun sales that, once crossed, would suddenly require a seller to get a license. This is because setting a threshold number could actually be counterproductive. If the threshold is high — say, 100 guns a year — a seller who peddles a few dozen per year regularly would not be required to get a license. But if the threshold is low — say, five guns in a year — that could wrongly require someone selling a lot of guns from a private collection to get a license. “If you set the threshold low, it could open this up to legal challenges,” Arkadi Gerney, a gun law expert at the Center for American Progress, tells me. Indeed, as I reported recently, the administration looked at this approach and found it unworkable and legally vulnerable. Instead, the new executive action articulates a variety of other indicators that determine a seller to be “engaged in the business” of selling firearms, and thus to require a federal license. Gerney, who was briefed on the changes, tells me they will include items such as: Whether the seller prints business cards; whether the seller accepts credit cards; and whether the seller uses a regular venue, such as a rented table at gun shows. Other indicators may include whether the seller has a website advertising sales. “Using multiple indicia is more consistent with the statute and will make this tighter and smarter,” Gerney says. We still need to see the details to be certain of how this will work, but those are the basic outlines. One imagines the GOP presidential candidates, who have already denounced Obama’s executive actions as an assault on the Second Amendment, will not be easily persuaded of this initiative’s modesty. Update: The new guidelines are now online right here. Obama would devote $500 million more in federal funds to treating mental illness — a move that could require congressional approval — and require that firearms lost in transit between a manufacturer and a seller be reported to federal authorities. At the president’s direction, the FBI will begin hiring more than 230 additional examiners and other personnel to help process new background checks 24 hours a day, seven days a week. 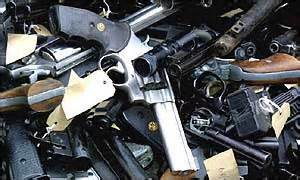 Also, the Bureau of Alcohol, Tobacco, Firearms and Explosives has established a new investigation center to keep track of illegal gun trafficking online and will devote $4 million and additional personnel to enhance the National Integrated Ballistics Information Network. Gerney tells me that taken all together, these actions could have a “substantial” impact. It’s unclear how much of an impact the most controversial of these — the background check initiative — will have. Here is the White House FACT SHEET: New Executive Actions to Reduce Gun Violence and Make Our Communities Safer. In looking over the fact sheet the White House provided to explain their executive actions on guns, I don’t see a whole lot for anyone to complain about, unless they feel that they didn’t go far enough. One part is totally useless, as asking this Congress to give more money to the Bureau of Alcohol, Tobacco, Firearms and Explosives (ATF) is like asking them to declare Ronald Reagan an enemy of the people. Much of the rest is focused on increasing the effectiveness of the already existing National Instant Criminal Background Check System (NICS). Going to a 24/7 system will help avoid the current problem they have where they get requests for 63,000 background checks a day and have only three days to complete a check before a gun sale can take place without one. This falls into the category of “enforcing the gun laws that are already on the books” that the Republicans are always chanting like a mantra. There’s a bit of a change in that the government will now be looking to eliminate a loophole that people exploit to buy machine guns and sawed-off shotguns. You won’t be able to buy ordinarily prohibited weapons anymore simply by creating trusts, corporations, or other legal entities to serve as phony middlemen. If you’re looking to buy or sell guns without any oversight, these executive actions may impact you, but all they’re really looking to accomplish is for as many gun sales as possible to be run through the NICS background check system. There’s a mental illness component which could concern some folks because it butts up against medical privacy issues. The biggest change is that the Social Security Administration will feed information into the background check system about people who receive SSA benefits for mental illness, particularly if the illness is severe enough that the beneficiary cannot handle their own account. The Health and Human Services Department (HHS) has also issued a rule that makes it clear that states can report on mentally ill people without running afoul of the Health Insurance Portability and Accountability Act of 1996 (HIPAA). I’m not saying this isn’t problematic, as some people may avoid seeking help for mental problems to avoid losing their 2nd Amendment rights. Overall, though, most of the sensational mass shootings in recent years have been carried out by severely disturbed individuals like Jared Lee Loughner in Arizona, James Holmes in Colorado, and Adam Lanza in Sandy Hook. What’s probably most threatening to gun rights absolutists is the last part which is related to smart gun technology. Preparing reports and conducting periodic reviews? It’s not much, really, but it would be significant if the government moved to smart gun technology. After all, we’ve all seen how a 2002 smart gun law in New Jersey has made the gun nuts go crazy and had the inadvertent effect of keeping smart guns off the market. 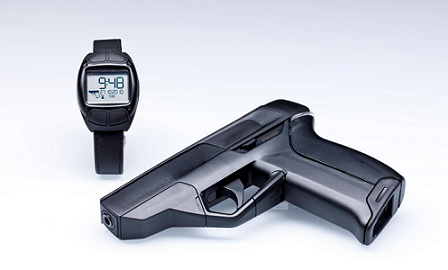 Once smart guns get a foothold, it could be game over for the old way of shooting and killing people. That would a positive legacy from these executive actions, but it’s mainly hypothetical right now. There’s no constitutional overreach in any of these proposals or actions. I posted about Smart Gun technology back in 2014. Gun worshipers and fetishists are blocking ‘smart gun’ technology from being sold in the U.S.
But… but… if we keep guns out of the hands of bad guys, who will the good guys have to shoot? the quickest way to slow down gun violence is a mandatory 5 years sentence for gun crimes. problem it would put more young black men in jail. democrats especially the black coalition want less black men going to jail so gun control for law abiding gun owners is the democrats only solution. It is almost universal today that crimes commited using a firearm receive sentences of 5 years or more. If guns are involved the Courts tend to take the crime very seriously, as they should.